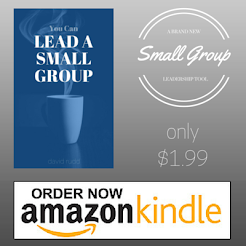 Small group gatherings are not business meetings. They need not have rigid agendas or strict time constraints. Although effective groups often follow set curriculum, there are times when they can take a break from their plans and have conversations about their group’s health. These five questions can be used together or one at a time. They are designed to help groups’ determine their identity, diagnoses their health and develop a plan for the future. How can we meet one another’s needs? Acts is full of stories about Christians finding creative means by which they can meet each other’s needs. Some even sold their properties and possessions. The small group is the ideal lab in which we can work out what it truly means to love one another as Jesus loved us. If the greatest love of all is laying down our lives for each other (and it is), then meeting the needs of others in our group should be one of our first and highest priorities.